You know, they say follow your dreams pursue your dreams, live your dreams and all that other jazz and stuff and all. Sometimes dreams are simply on another timeline, in another cycle, to be actualized in another reality. I guess what we have to do is determine, what cycle the dream is in and whether or not it can be made to align within the cycle where we become aware of it. In other words, “Voices Of Africa” Choral and Percussion Ensemble was my dream. A dream of having a family of performing artists who were gifted and talented and well rounded, working in harmony and striving to do something great to impact and change the world we live in. When I think about it now… I shift from pain to joy, from joy to pain.. as it was the most amazingly joyful experience as well as the most amazingly painful one. My dream was to do it, and do it well, through the vehicle of African music, children’s songs, dance and fun! We traveled all over the country and we even went to Ghana, and the UK!! We saw many members come and go, but the strong survived, me and my two daughters. We went through marriages and babies and college and jobs and relocations and you name we did it. We were even stranded in Iowa on that fateful day in Sept. 11, 2001. We navigated through losses and gains and not only in poundage. We did it and yet, it was painful.. on many levels that I could not understand and did not understand until recently.. I would say, just a couple of years ago. It was a dream that only I had.. it was a dream that only held meaning on an intrinsic level to me. It was my desire to be a “Partridge Family” on the black hand side! Ha, those young folks who were with me, knew nothing of the Partridge Family, nor did they care about them, besides, who said so anyway?? It was my desire to create a family musical group to overshadow my own feelings of abandonment from my own family and the feeling of loss from my one living parent and my one missing parent. The Isolation I felt growing up as a child was hard to bear, yet I wonder if my push to be something that my children could not relate to caused them the same feelings of isolation. This dream turned out to be more than I would have ever envisioned as it required all the trappings of a bonafide business enterprise. None of that was displayed in the Partridge family series. It required economic stamina in an climate of rises and falls that devastated our audiences and potential venues. It required the ability to compete with other organizations, groups, clubs and families who had done this for a much longer period of time, but who also faced the same challenges which made our playing field very narrow and overly competitive. It required the comfort of working with your Mom, who was embarrassing at the tender age she place you on the stage. But more than anything, it require, forgetting, getting over, and even forgiving the many inordinances that occurred between the family members before they hit “the big stage.” And that is where the rocky ground made everything else even more difficult to overcome. At this point in the cycle, I wonder, if I knew then what I know now, if I would have realized that this dream would turn out to be a nightmare because it simply was not in alignment with the reality we, me and my daughters (all members of VOA, whether genetically or not) lived in day to day. Our struggle before, behind and back stage as Mom and daughters was not resolved, concluded or even clear, as it was most transparent for others to see. We came here to this life time, with some kind of “joint” purpose, whatever that was, it was never conjoined, and my struggle to hold it together while it fell apart around me, really had to do with not knowing what parts to hold on to and what parts to let go. 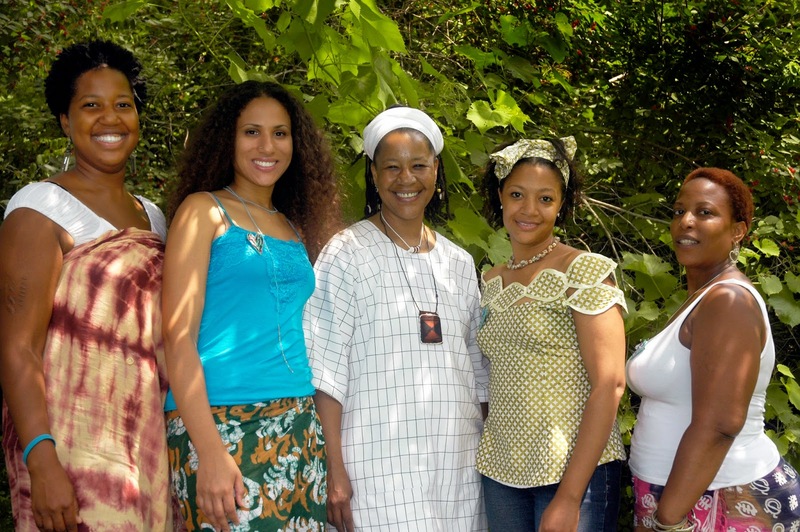 Again, I wonder, if I would have decided to do everything, differently, and follow a totally different course if I was aware of the major road blocks that were preventing this dream of an All Female African American West African Percussion Cultural Music Group from coming true. I guess I should be fair and say that parts of it did. I should also add that parts of it that I never dreamed of came true as well. But all in all, as I look at this picture, I can’t help but wonder.. what would I have done differently, if I knew then, what I know now. For some reason that truth was blocked or guarded as if something outside of myself wanted me to do it anyway, no matter the obstacles. At least I have a hell of a resume’ as a result of it; with so many Self taught skills I gained over the 25 years of active duty. I am sure that there were so many blessings that came from this experience and all in all, it was memorable. My dream is not dead. Cause I Still Got It!!!! !